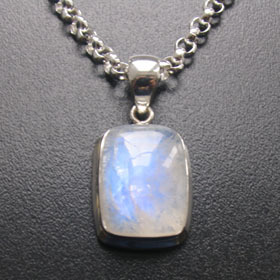 There are different kinds of moonstone. 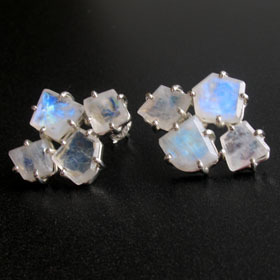 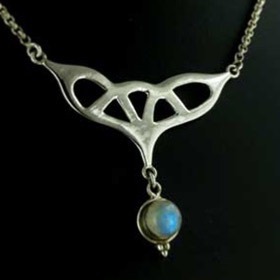 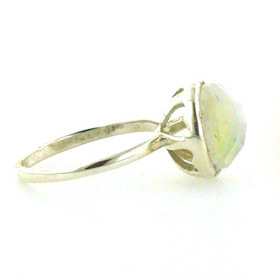 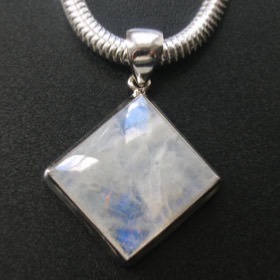 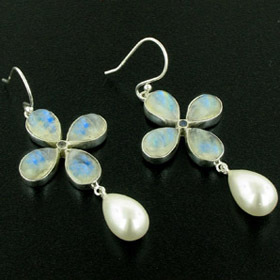 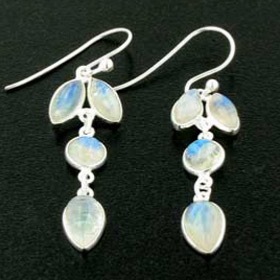 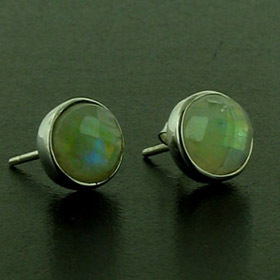 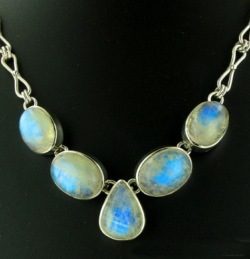 What you find here is rainbow moonstone jewellery set into sterling silver. 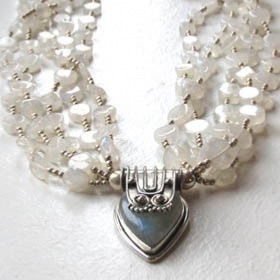 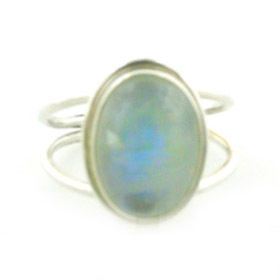 For more information about moonstone - the sacred semi-precious gemstone - read About Gemstones. 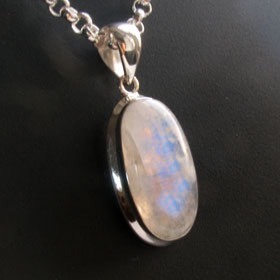 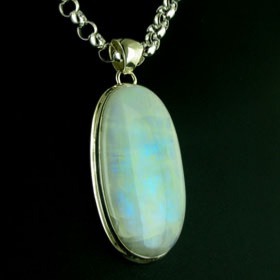 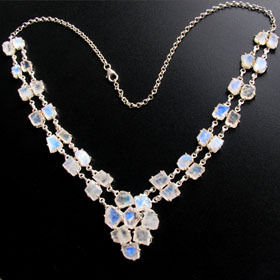 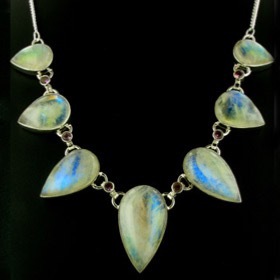 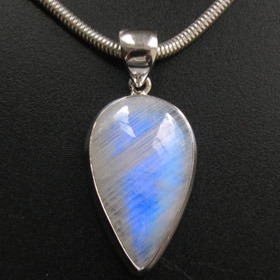 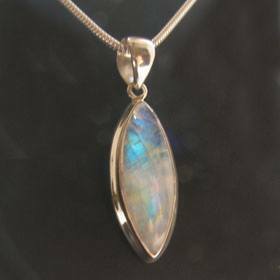 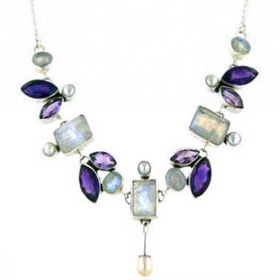 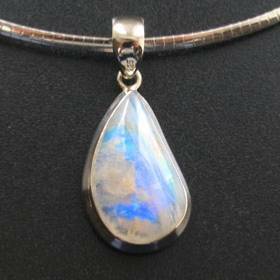 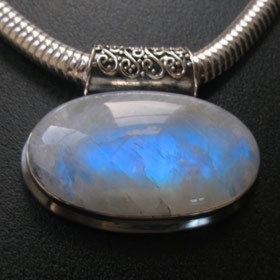 Rainbow moonstone jewellery glows with blue schiller. 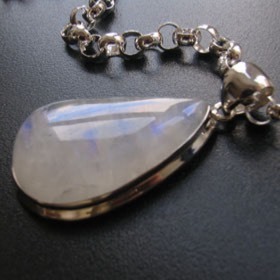 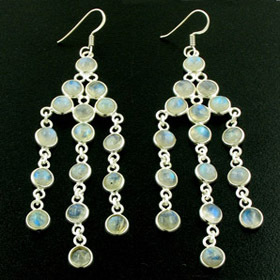 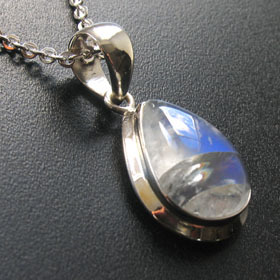 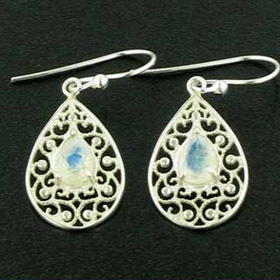 Included in our collection are moonstone pendants, earrings, necklaces, bracelets and rings. 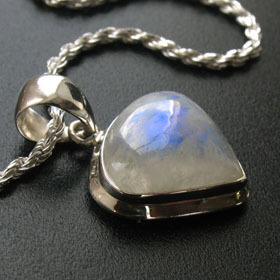 Shop for your sterling silver moonstone jewellery here. 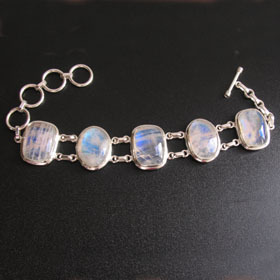 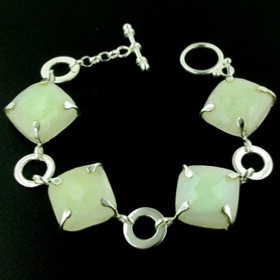 Rainbow moonstone bracelet set in sterling silver.